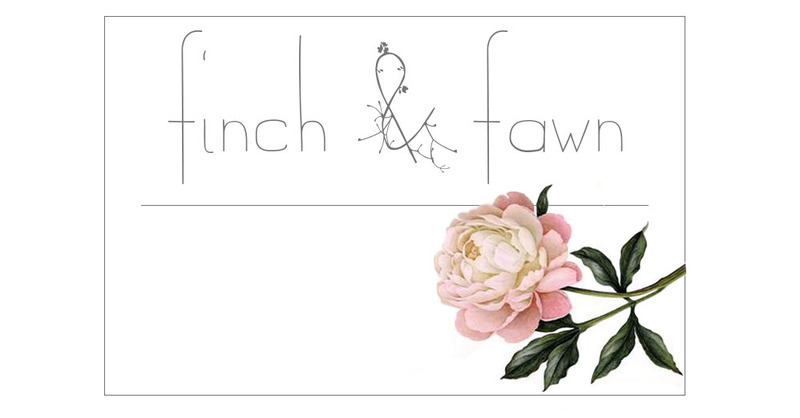 Finch & Fawn : Welcome to my room! Hello and welcome to my little room! From sewing on my 1908 Singer, to listening to records, measuring all my etsy items, typing letters on my Royal typewriter, and also sleeping, I love my little room nestled in a tiny apartment townhouse here in this pretty little city. 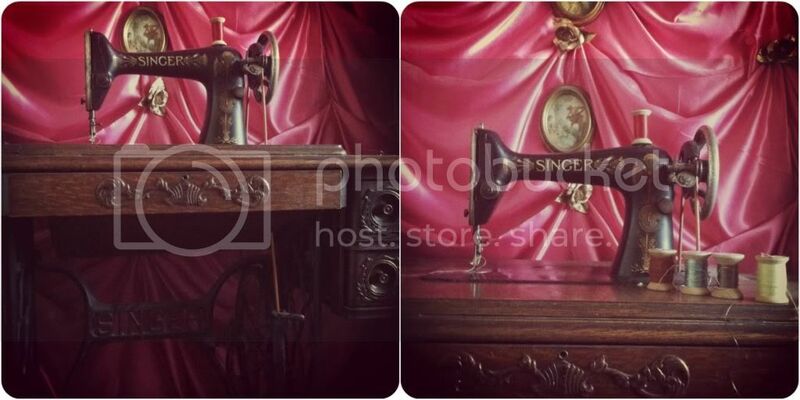 This beaut here is my 1908 Singer Treadle Sewing Machine. You know I'm up in my room sewing when you hear me start pedaling away at the wheel. It is a lot of work, but so so much fun! 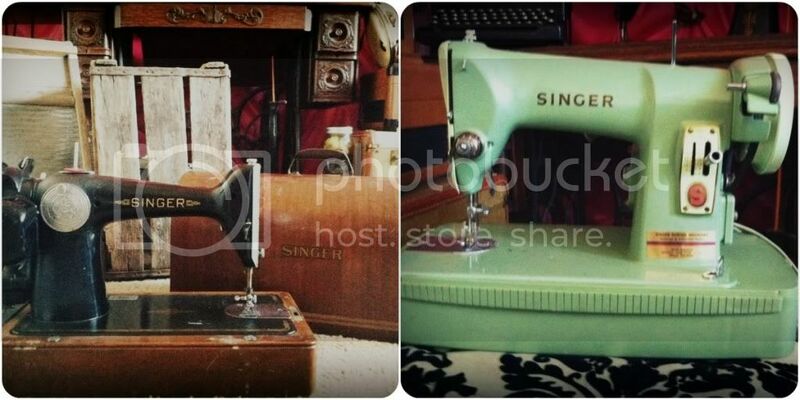 Here are a couple of my other vintage Singer sewing machines. 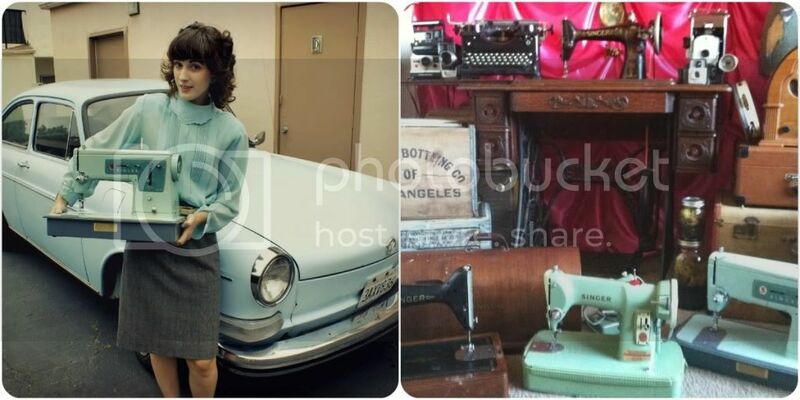 On the left is a 1941 Singer 401, and the pretty mint green one on the right is a 1955 Singer 185j, which i love so very much! 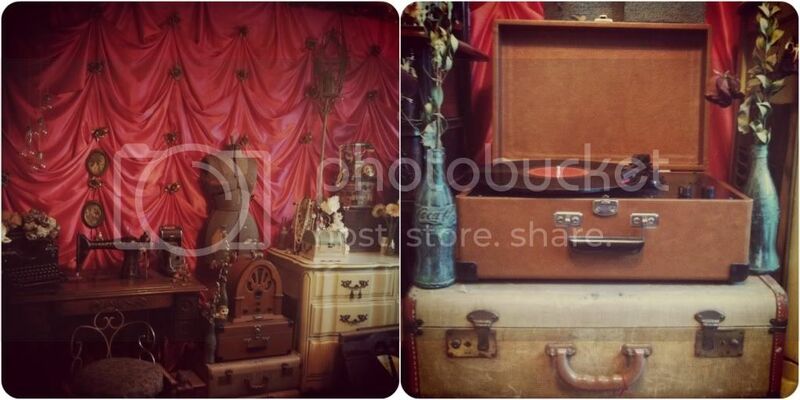 Vintage mannequin, suitcases galore, and a record player to listen to some classic vinyl. 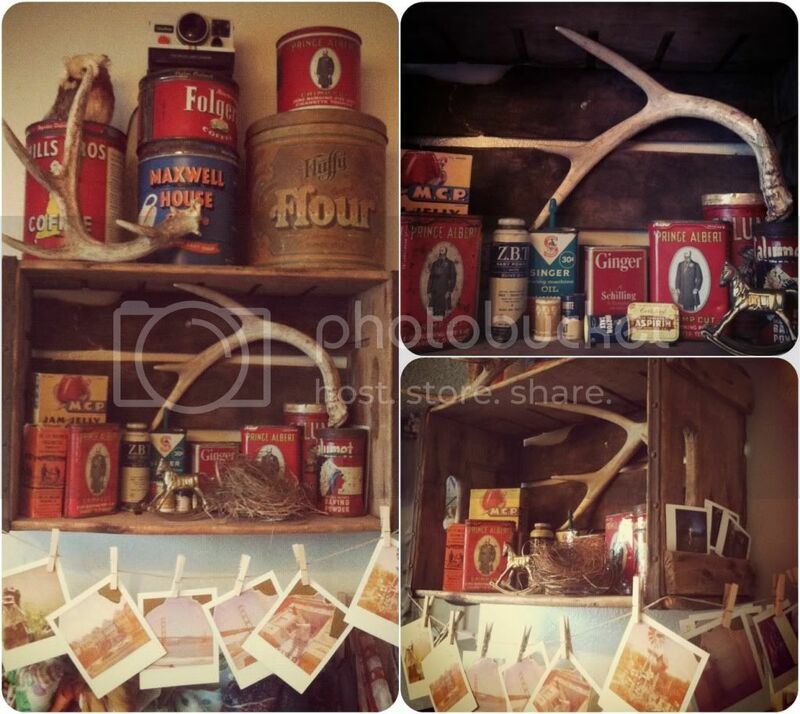 Here is an old crate I made into a shelf to display some vintage tins and goodies. Also where I hang my favorite Polaroids that I have taken. 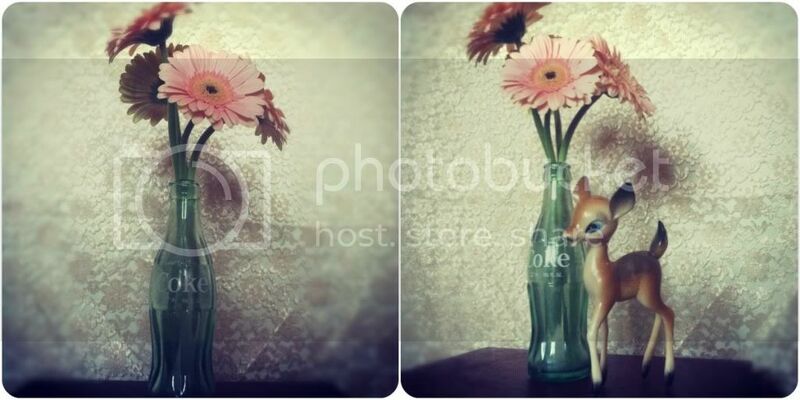 I have tons of tiny vintage creatures hiding in little spots around my room. 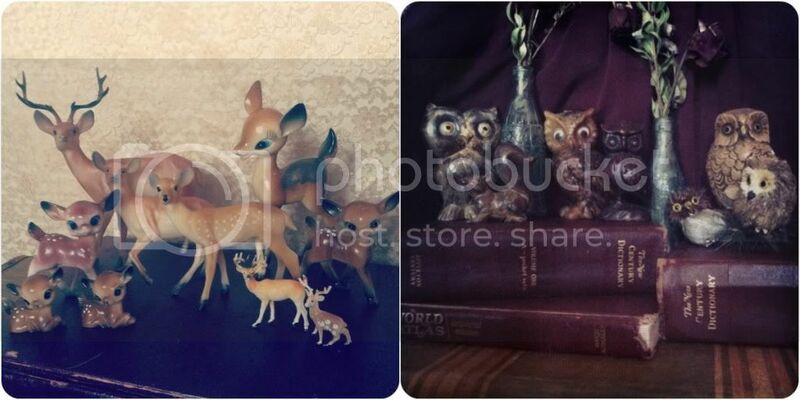 Here's most of em, i love old vintage owl's and especially vintage deer and fawn! 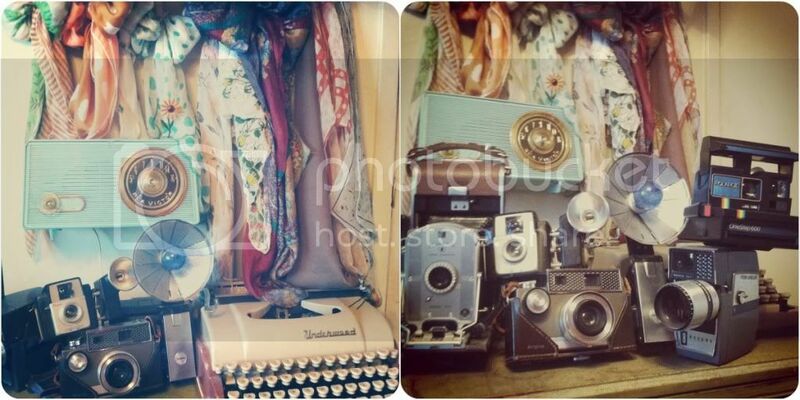 Here's another little goodies corner; a vintage Underwood typewriter and some of my vintage cameras. The 8mm video camera belonged to my Nana Rose and it is perfect shape, the Kodak land camera and the brownie no longer function, but I regularly shoot with my Polaroid One Step 600 and my 50's Argus Autronic, how cool is that big flash! I like to type letters on this 1920's Royal typewriter. And a jewelry stand full of my grandmother's pearls and such. Here is a cute deer tapestry and the wall my bed is against. I made this shutter headboard out of some old beaten shutters I gathered from flea markets and repurposed. I also made these Mason Jar bedside lights. 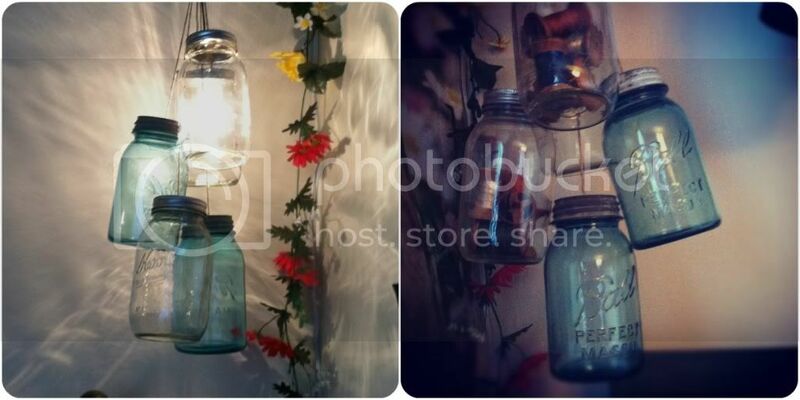 Here's the Mason jar lights I made. I later added some old thread spools to the empty clear jars. 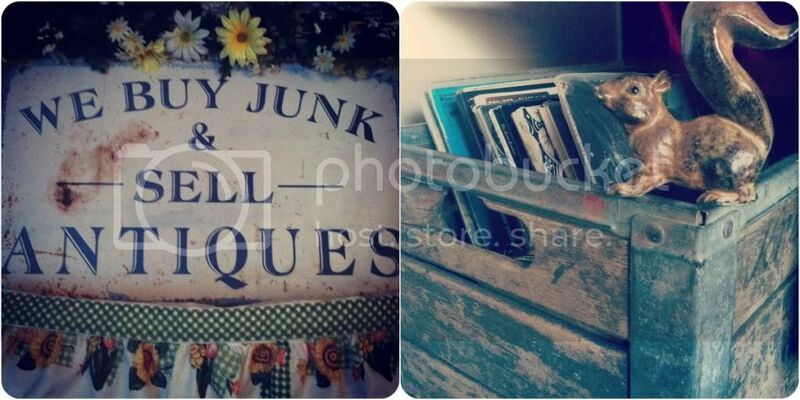 My favorite sign, and an old crate filled with records. And here is a sneak peek of some art I have gathered for an upcoming re-do of my pink wall !! 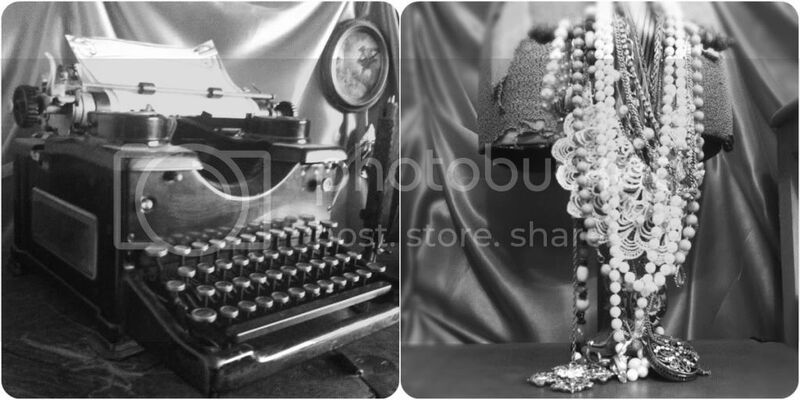 Think lace, vintage art and empty frames.